Psst... want to hear a secret? These trousers look smart enough for Sunday lunch, but they're as comfortable as joggers. 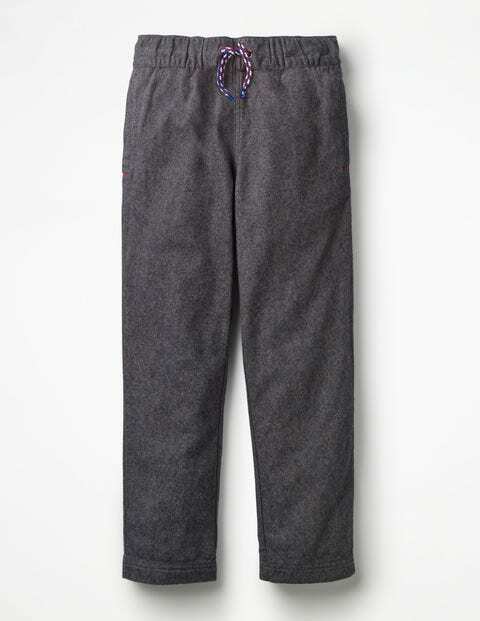 Made from soft brushed cotton, they have an easy-to-pull-on elastic waist. The colourful drawcord can be adjusted for the perfect fit before wowing the grown-ups with some epic dance moves.